Labeled an incorrigible youth in his native city of Baltimore, Charles S. Dutton dropped out of school at age twelve and led a life that sent him to reform school and, eventually, to prison. Actor and director, Dutton’s life story is both sobering and inspirational. While incarcerated, he accidentally picked up a book of plays and discovered the theater. Upon his release, he started a new life, earning a bachelor’s degree and a scholarship to Yale’s School of Drama. Since then, Dutton’s career has spanned the Broadway stage, television and film with performances that have captured him Tony, Golden Globe and Emmy nominations. He has starred in numerous films including Rudy, Cookie’s Fortune, Cry the Beloved Country, Get on the Bus, Q & A, Crocodile Dundee II, Nick of Time and A Time to Kill. Dutton is probably best known as the star and executive producer of the FOX-TV comedy-drama series, ROC. The series received high praise from critics and viewers alike for its positive portrayal of a black working class family. In 1997, he made his directorial debut in First Time Felon for HBO, garnering some of the network’s highest ratings. In 2000 he directed all six episodes of the HBO original miniseries, The Corner. The Corner swept the 2000 Emmy Awards in every category for which it was nominated, including Dutton’s win as Best Director. He directed his first feature film, Against the Ropes, starring Meg Ryan, which was released February 2004. Dutton also starred in Showtime’s Blind Faith, TNT’s Deadlocked and the HBO movie For Love of Country: The Arturo Sandoval Story in which he played jazz legend Dizzy Gillespie. Most recently, he starred in the Showtime original film, 10,000 Black Men Named George. He also serves as an inspiring role model, having implemented the “Safe Schools, Successful Students” program in Baltimore. Dutton has delivered several keynote addresses at major universities and was awarded an Honorary Doctor of Human Letters from Towson State University. Whether he is discussing his views on the values of education and self-determination, racism in Hollywood, the drug “war” in America, minimum sentencing or his first-hand knowledge of the power to change one’s life, few speakers can match Dutton’s overwhelming presence, intensity and ability to inspire audiences. Do you want to hire Charles Dutton? Directly request a quote. In 48 hours we can send you the availability of Charles Dutton If you would like to book Charles Dutton, Entertainment Booking Agency is the right place. We will offer you the best price and contact the management or we directly contact Charles Dutton. For corporate appearances or speaking engagements you can contact our agents and the will help you true the process. Tags: hire Charles Dutton, Charles Dutton booking, book Charles Dutton, Charles Dutton appearances, find more information on booking Charles Dutton for appearances, Charles Dutton speaking engagements, Charles Dutton endorsements/spokesperson, Charles Dutton appearance fees, Charles Dutton booking agency contact info, biography of Charles Dutton, Contact an artist booking talent agent find a speakers bureau that can book Charles Dutton, speaker booking agency for Charles Dutton, Charles Dutton booking agency, Charles Dutton booking for corporate event. EBA is one of the biggest entertainment booking agencies in the World. We book hundreds of celebrities, artist, athletes and speakers in a year. Important to know is that we are not claiming to be the management of Charles Dutton. 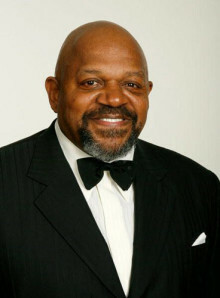 We are not the official agent for Charles Dutton. Companies from around the globe book these artists and speakers true our company be course we have one of the biggest networks and we always have direct contact with the artist or the management. We help you to find the right celebrities for your corporate of private events. Please contact one of our agents to get free advice and we will help to get the world-famous artist on your party.